Apple has released Final Cut Pro X Version 10.0.3. "Version 10.0.3 introduces Multicam Editing, Broadcast Monitoring, and more new features that extend the power and flexibility of Final Cut Pro X." I have added a baker's dozen Zeiss 35mm f/1.4 Distagon T* ZE Lens sample pictures to the site. Kenko has announced that their new Kenko 400mm f/8 Mirror Lens will be released on February 03, 2012. This is a compact, lightweight (12 oz, 340g), full frame, manual focus, telephoto lens with a fixed f/8 aperture (no aperture blades). The mirror is coated with silver deposition. "... We achieved a good balance between size-conscious design and performance." Canon has released 2011 financial results. The presentation material PDF provides a graphical summary. For digging deep, the Financial Results for FY 2011 PDF is provided. TOKYO - Canon Inc's 76-year-old chairman and CEO will take on the additional role of president after the $60 billion Japanese camera and printer maker forecast weak earnings growth and said its current president was stepping down. TOKYO, Jan 30 - Canon Inc posted a 14 percent rise in quarterly operating profit on Monday, as it battled the impact of a strong yen and floods in Thailand with cost cuts and increased automation. Check out the Why Wedding Photographers’ Prices are “Wack” article posted at PetaPixel (thanks Sean). B&H has the new Canon PIXMA PRO-1 Photo Printer in stock. RONKONKOMA, NY, Jan. 27, 2012 – With great sadness, Sigma Corporation of America today announced the passing of Sigma Corporation’s founder and CEO Michihiro Yamaki. He died of liver cancer in Tokyo, Japan, on Jan. 18 at the age of 78. 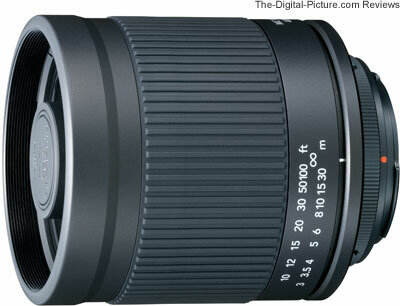 Yamaki founded Sigma Corporation on Sept. 9, 1961 with the development of the first-ever rear attached lens converter. At that time, most photo enthusiasts believed that a lens converter could only be attached to the front of a camera lens and the 27-year-old optical engineer turned conventional optical theory on its head. Sigma Corporation celebrated its 50th anniversary in 2011 with Yamaki still at the company’s helm. Throughout his years in the photo industry, Yamaki has been focused on producing high-quality, high-performance photographic technology at moderate prices. His goal for the company has always been to make outstanding image quality accessible to all photographers. To this end, he grew the family-owned organization into a leading researcher, developer, manufacturer and service provider of lenses, cameras and flashes. The company is now known as the largest, independent SLR lens manufacturer in the world, producing more than 50 current lenses that are compatible with most manufacturers, including Sigma, Canon, Sony, Nikon, Olympus, Pentax and Sony. In 2008, under Yamaki’s direction, Sigma Corporation purchased Foveon, a California-based company that’s renowned for developing the X3 image sensor technology. This patented, three-layer image sensor captures all primary RGB colors at each pixel location arranged in three layers to deliver outstanding, high-resolution, high-definition images with impressive three-dimensional detail and rich gradation. Last year, the company announced the arrival of its SD1, a groundbreaking, 46-megapixel direct image sensor camera, offering more megapixels than any other DSLR currently on the market. Sigma Corporation continued its theme of addressing gaps in the industry and the needs of photographers by kicking off 2012 with the launch of its new, Digital Neo (DN) line of lenses for Micro Four Thirds and E-mount camera systems. In addition to his inventions and photographic foresight, Yamaki made many other contributions to the industry in his 78 years of life. He served organizations such as: the Japan Photographic Enterprises Association, Japan Machinery Design Center, Japan Optomechatronics Association, Photographic Society of Japan, and Japan Camera Industry Institute. He has also been honored with the “Person of the Year” award from The Photoimaging Manufacturers & Distributors Association (PMDA), the “Hall of Fame” award from the International Photographic Council (IPC), and the Golden Photokina Pin for his longtime contribution to the imaging industry. Canon Camera Museum has posted a technical report feturing the Canon EOS-1D X. We regret to announce that the founder and CEO of Sigma Corporation, Michihiro Yamaki passed away at 1:53am on January 18th, 2012. We would like to sincerely express our deep gratitude for your generous support for him till this day. Adobe Senior Product Manager, Bryan O'Neil Hughes, provides ... "an early look at some of the things the Photoshop team is working on for Camera Raw." Earth Explorer Collection Adds 6 New Styles and Redesigns 5 Best Sellers! With a touch of finesse and fashionable details we are offering 5 redesigned best sellers from the original collection and 6 new exciting styles. The key to this redesign can be found in the details. Small touches emphasize the National Geographic brand with functional improvements added to original line favorites. The overall style, a classic cotton camera bag that can also be used for everyday use, remains with all models. Later in 2012, we will see the refresh of this line complete with new versions of most of the original Earth Explorer models available. Learn more and see the new National Geographic Earth Explorer Collection bags here. B&H carries the National Geographic Earth Explorer Collection. I am frequently asked for an Adobe Photoshop Lightroom 3 Book recommendation. If you are looking for such a book, check out Scott Kelby's The Adobe Photoshop Lightroom 3 Book for Digital Photographers. Popular super wide zoom lens, Tokina AT-Tokina AT X 116 PRO DX-successor model appeared X 116 PRO DX II. Keep the optical system of the AT-X 116 PRO DX, a new coating applied. Smoother gradations in the shadows. Placed in the front group P-molded glass aspherical lens that together with the group after the aspherical lens placed in MO, and distortion, aberration correction, ideally each. In addition, SD very close to fluorite (ultra low dispersion) glass uses two. Elimination of chromatic aberration. Not only for Canon digital with a motor inside the lens for Nikon. AT-X 16-28 F2.8 PRO FX , 17-35 F4 AT-X PRO FX Tokina SD and GMR sensors mounted on its own-M (Silent Drive-Module), quiet and highly accurate combination of has realized the AF. 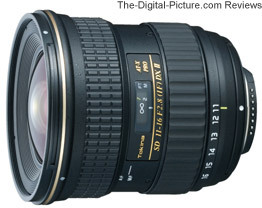 Nikon digital (APS-C): Will be released in late March 2012. Canon digital (APS-C): Will be released in late July 2012. Have You Seen the 35-Foot Long Camera? Permalink: Have You Seen the 35-Foot Long Camera?